The Ottoman Empire was one of the largest and longest-lasting empires in history—and one of the most culinarily inclined. In this powerful and complex concoction of politics, culture, and cuisine, the production and consumption of food reflected the lives of the empire’s citizens from sultans to soldiers. Food bound people of different classes and backgrounds together, defining identity and serving symbolic functions in the social, religious, political, and military spheres. 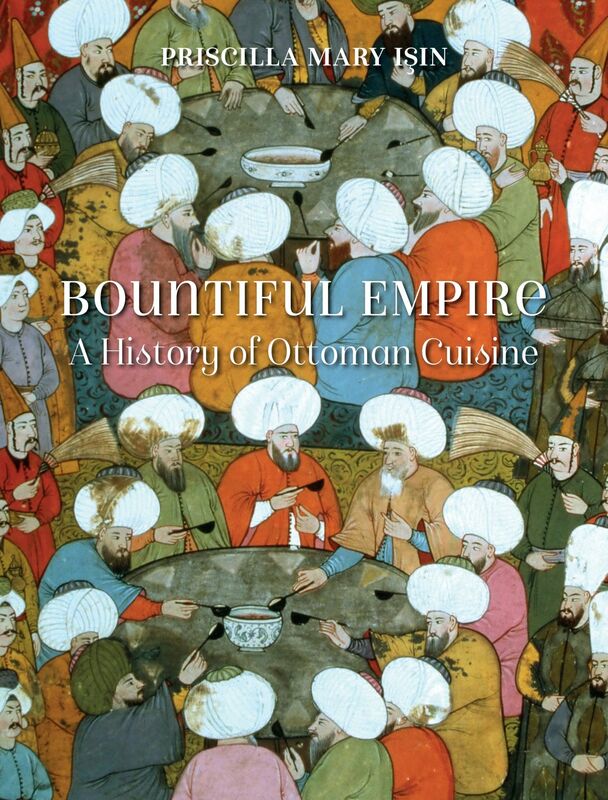 In Bountiful Empire, Priscilla Mary Işın examines the changing meanings of the Ottoman Empire’s foodways as they evolved over more than five centuries. Işın begins with the essential ingredients of this fascinating history, examining the earlier culinary traditions in which Ottoman cuisine was rooted, such as those of the Central Asian Turks, Abbasids, Seljuks, and Byzantines. She goes on to explore the diverse aspects of this rich culinary culture, including etiquette, cooks, restaurants, military food, food laws, and food trade. Drawing on everything from archival documents to poetry and featuring more than one hundred delectable illustrations, this meticulously researched, beautiful volume offers fresh and lively insight into an empire and cuisine that until recent decades have been too narrowly viewed through orientalist spectacles.